We've all been there--victims of the Casual-Frumpy epidemic. But, no more! There are so many ways to be comfortable and look stylish at the same time. or pair a simple sweatshirt with chic boots! I love these outfits! Your blog is so fabulous! Love this because I like to be casual but I still want to look stylish and sometimes have a hard time combining the two. Great tips! Fit is important also! I love how your clothes are fitted but not at all tight or constricting. Even your sweatshirt is a long way from being too oversized! You look great as always! Love the first look! And wearing a hoodie with skinny jeans and boots is so much cuter than just a sweatshirt and sneakers! I love you blog, Yassi! You have inspired me to layer more. I'm glad you post a mix of weekend wear and business wear! 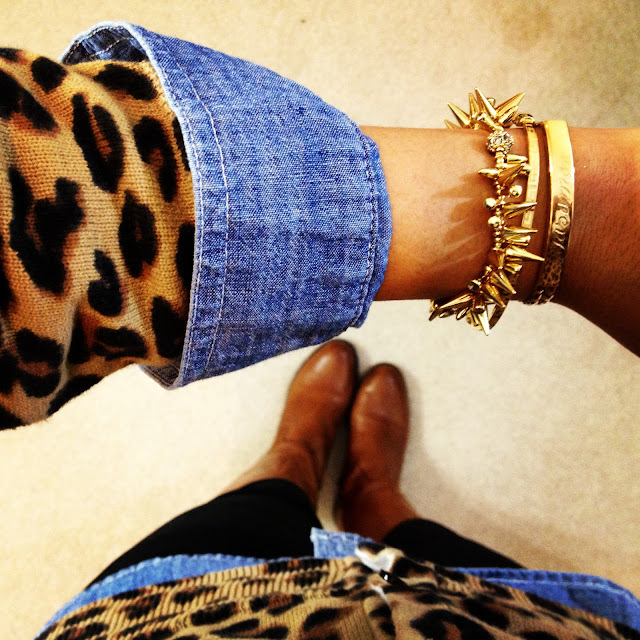 That chambray under leopard is amazing - I might have to try it! I recently discovered your blog, and I love all your outfit ideas!! I actually bought a bunch of shirts and sweaters off forever21.com for the first time inspired by your looks. Thanks for all the great posts and inspiration! I always love your outfits but your MSU outfit has to be one of my favorites. Go Green!! As an MSU alum, I have a ton of sweatshirts and t shirts and have yet to find a way to wear them fashionably. Thank you for the inspiration!! 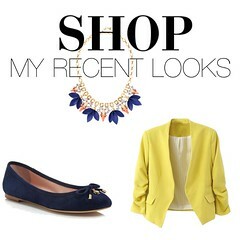 I had re-pinned a few of your looks from Pinterest and finally got wise and followed the link to your blog. You've had so many smart work looks. Keep em coming! I need that leopard cardi in my life. Can ypu share thr brand of the leopard cardi from target??? Love!